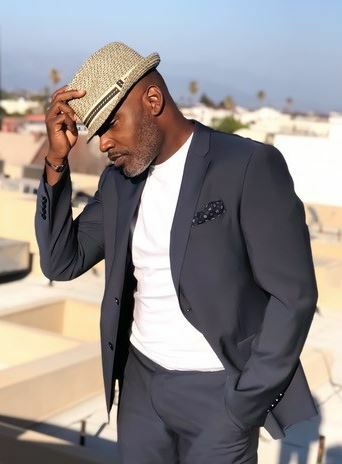 Tommie Earl Jenkins is an American actor, singer and writer. For many years he also danced professionally in the ballet world. With an extensive background in all aspects of Theater, TV and Film, he has worked all around the world, from the stage in London’s West End, to the bright lights of Broadway. After nearly three decades of living and working in the UK he longed to come home and share is life experiences on this side of the pond, and so has moved back to the USA and now resides in LA. His dual citizenship allows him to work on both sides of the Atlantic when needed. As a voiceover artist, he has a wide range and unique style of his own. Deep, commanding and engaging with gravitas and the ability to do British, Caribbean and African Accents. His voice can be heard on numerous commercials, animation, interactive video games and documentaries. You can hear him in the below clip narrating the recent EMMY nominated documentary, "Roots: A New Vision" for the History Channel. With numerous network television and film credits, he continues to work in front of the camera with some of Hollywood’s biggest stars. He has appeared in numerous musicals throughout his career. Below you can hear a live recording of "Rhythm Of Life" from Sweet Charity with the BBC Orchestra. He was a recording artist for Polydor Records and BMG/RCA with a number one dance hit “Let Me Be Your Love," which you can dance your heart out to below. Solo Vocalist on "Let Me Be Your Love"